This October I will be co-instructor for a two day workshop offered by the Austin Book Arts Center. I will be teaching students to make salt prints the first day and Kevin Auer will teach everyone how to create a handmade book from the results. The class is quite a bargain and sure to be a lot of fun. Check out the details in the class listing on the Austin Book Arts Center's site. Hey kids! I'm offering my alternative photography intro course again in October. UT sets the tuition, and these courses are an absolute bargain. About 120.00 for a four session course - including materials! This means I am hardly turning a dime, but they are a lot of fun to teach. The course description includes cyanotypes, salt, and van dyke prints but I will probably introduce something new. Last time we winged it a bit and it made for a great learning experience. My students and I just wrapped up an intro to alternative printing workshop offered through UT informal Classes and I will be offering a similar course beginning in October. Over four sessions, students learned the basics of alternative process printing and made handmade photographic prints in threes processes; cyanotype, van dyke, and salt. This was the first time I offered the course through UT, and it was a great success. The students had a great time, learned all the basic skills to print, and were eager to get started on their own. I'll be offering the same course starting in October. This course will also be four Sunday sessions offered in one of the design studios on the main UT campus. While the objectives and the core material will be the same, I'll vary the processes we will learn. 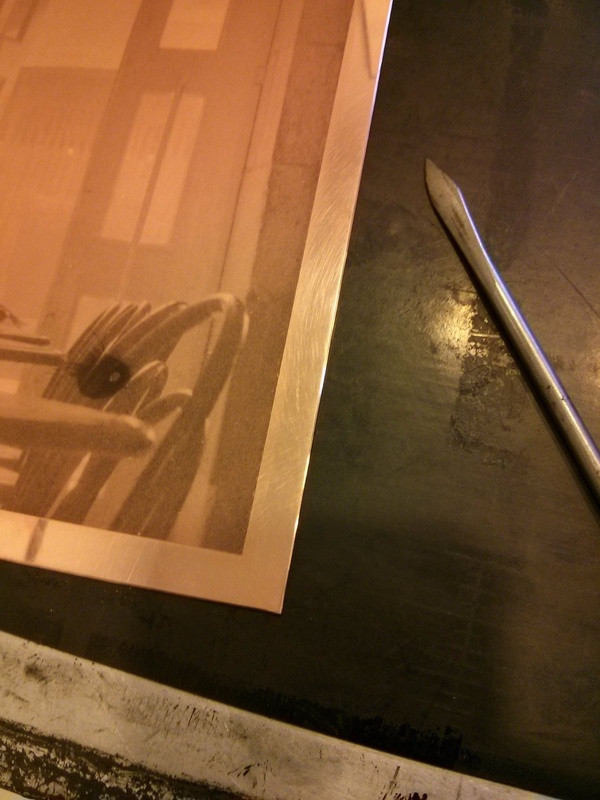 We'll print using a basic process like vandyke or cyanotype and possibly albumen. Details will be nailed down in the next couple of months. Look for the course to appear in the course listings and if you have any questions or request for the course, just drop me a line. Also, don't forget, I am open to organizing one on one and group workshops on carbon printing and other processes. Make handmade prints of your very own, and be happy.